The Income Tax department is raiding properties of pro-Dinakaran MLA Senthil Balaji in Karur district, yet another episode in Tamil Nadu’s ongoing political drama. JUST IN | 10 premises of disqualified TTV Dinakaran supporting MLA Senthil Balaji raided by Income Tax Dept, in Karur district of Tamil Nadu. As Modi-Shah duo prepares for the next general elections, the emphasis this time is on eastern and southern states. Any attrition due to anti-incumbency in areas where it has already peaked will have to be made up in unexplored territories. Tamil Nadu with 39 seats is tactically crucial for the BJP. The politics in Tamil Nadu is in a flux after the demise of former CM J Jayalalithaa. An alliance with AIADMK and a larger coalition of smaller parties to take on DMK-Congress combine could come in handy to offset any deficit in UP and Bihar. The Court was hearing a plea filed by 18 disqualified AIADMK MLAs who are in the TTV Dinakaran camp. It’s been exactly a month since TTV MLAs met the Governor and expressed no confidence in the Chief Minister. Yet, in the last 30 days, Team EPS-OPS has only managed to get one MLA, Jakkaiyan to jump the ship. All others are firmly on TTV's side. You could argue this is for money or for caste considerations. The other point TTV has been making in his public interactions, and perhaps the worst-kept secret in Tamil Nadu right now is that Delhi is behind EPS and OPS coming together. On the NEET issue, neither the Chief Minister nor the Deputy Chief Minister showed up at the residence of Anitha, the young student who committed suicide earlier this month. TTV at each of his public rallies has been hammering this point home. That EPS and OPS are betrayers. They first betrayed Amma and then Chinamma. 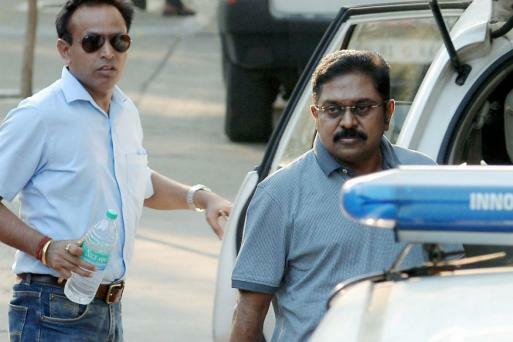 The politics of betrayal has huge resonance in Tamil Nadu. When MGR was thrown out of the DMK in 1972, forcing him to launch the AIADMK, he won by playing the victim card. - 18 MLAs to remain disqualified, but no elections in these seats. Any plans that EPS and OPS may have entertained to change the composition of the house by announcing by-elections in these 18 constituencies has also been put on hold by the court. By-polls have almost always tended to favour the party in power as they are able to bring in far greater resources than the opposition. EPS and OPS could have used fresh by-polls to end the challenge by Dinakaran’s rebel MLAs. Now they’ll have to wait until at least the court adjudicates this matter. The reason why the Speaker rushed through the disqualification of 18 MLAs was to bring down the strength of the house and to quickly rush in a confidence motion which EPS and OPS could win based on the reduced numbers. That plan has now been nixed by the court. The political uncertainty hangs over this government like a sword of Damocles. RECAP | The order was passed after one of the Dhinakaran camp MLAs P Vetrivel and DMK Working President M K Stalin, who had filed a petition for a floor test, had then expressed apprehension that the Speaker might disqualify the 18 MLAs and it may go in favour of the chief minister in the event of a confidence vote. Eight of the 18 disqualified MLAs moved the court on Tuesday challenging the Speaker's action against them under the anti-defection law. Deputy Chief Minister O Panneerselvam, who was also present, said "bad times" had started for those with "evil intentions" of toppling the government and splitting the party. The general council, the top policy making body of the AIADMK, had also held that all the decisions taken by Sasikala, including the one appointing Dhinakaran as the party's deputy chief, were "invalid". 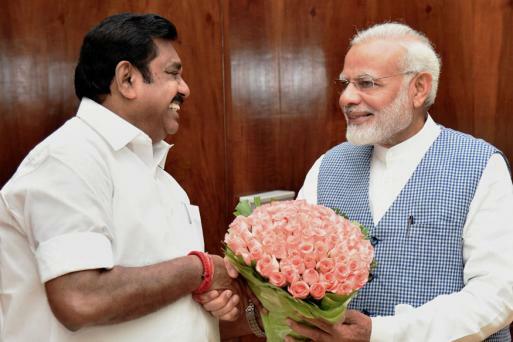 "The day dreams of those who want to topple the government are like sand castles, which will soon vanish," Palaniswami said, adding that his government was "very stable". The Madras High Court on Wednesday extended stay order on floor test in the Tamil Nadu Assembly for the Palaniswami government. The High Court directed that there will be no election notification to seats of 18 disqualified MLAs. The court also said that there will be no stay on the disqualification of MLAs and adjourned the case to October 4. Dinakaran, locked in an intense tussle with the Palaniswami-Panneerselvam camp, has been demanding the resignation of the Tamil Nadu Chief Minister. He has stepped up his attack on Palaniswami and vowed to send "home" his regime, after the AIADMK general council annulled his aunt VK Sasikala's appointment to the top party post earlier this month. E Palaniswami also slammed DMK leader MK Stalin for "dreaming" about dislodging his government. "Those who have never faced the people through elections are dreaming of coming to power, toppling the government and splitting the AIADMK," Palaniswami has said, in an apparent attack on Dinakaran, a former Rajya Sabha member who is spearheading a rebellion against him in the party. The political drama in Tamil Nadu continues to rage with Chief Minister Edappadi K Palaniswami making a veiled attack on sidelined AIADMK leader TTV Dinakaran, saying those who had never faced polls were "dreaming" of coming to power, and asserted that his "stable" government could not be toppled by anyone.